Leeds is also Yorkshire and Humberside's prime shopping location. Leeds has more than 4.3 million square feet of retail space, set in stunning architectural surroundings such as the Victoria Quarter, Corn Exchange, Headrow Centre, Leeds Shopping Plaza and The Light. 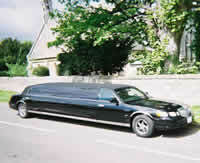 Girls, you can hire a limousine in Leeds for 2 hours or more (hopefully this is enough time) for your shopping trip. The limousine will wait outside your favourite store in Leeds whilst you shop away. Just make sure your limo is big enough for all those bags, you may need Hummer limo.